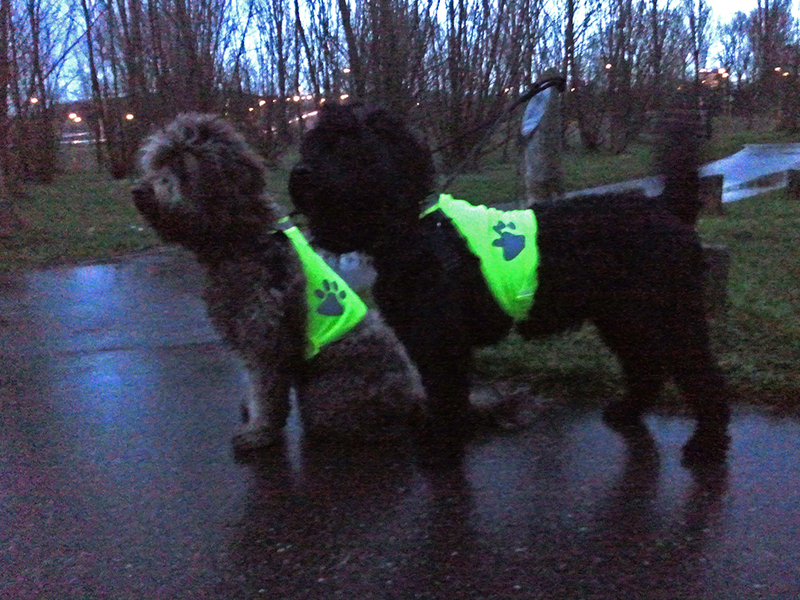 It gets dark early this time of the year, and for the dogs to be easy to spot I put on reflex vests during the evening walk. Yatzie's vest hardly fits any longer... and this is only day 36! 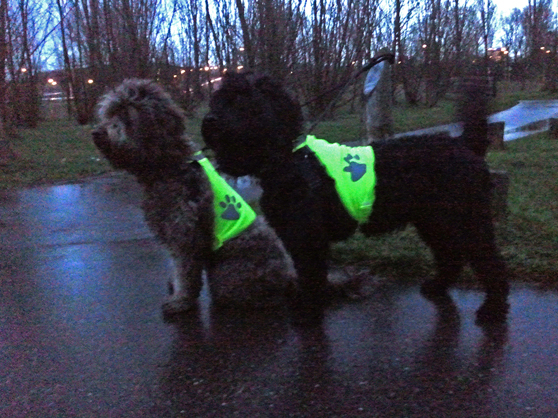 Today the vest totally can not be closed... For you I think it is going the other way now that the Christmas tables are over!